So far, The Division 2 is looking pretty good, but we won’t know for sure until it releases next month. 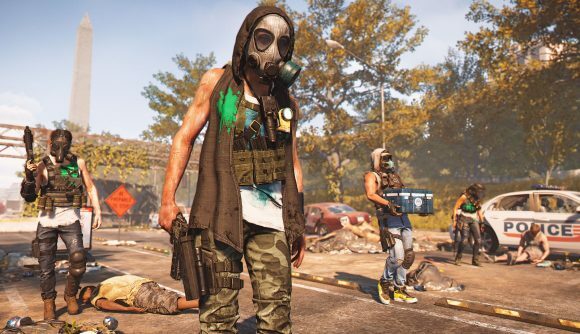 If you like to to gamble with your gaming budget, or you’re simply determined to see apocalyptic Washington, D.C. regardless, Ubisoft has a special incentive for you to buy early on PC – free games. If you pre-order any edition of The Division 2 for PC digitally via Uplay or the Epic Games store, you can claim one of three titles for free: Far Cry Primal, Ghost Recon Wildlands, or Watch Dogs 2. You won’t actually get any of those games until the Division 2 release date on March 15, but if you’ve pre-ordered before then you’ll still have until March 19 to claim your game. Those are all older titles, but if you’re looking purely in terms of dollar value, they’re all still up at full retail price from most distributors. If you’re not keen to wait for the next Steam sale, that makes this a solid deal. Of course, if you’re looking to pick up The Division 2 as part of a graphics card bundle or something similar, you won’t get the benefits of the giveaway. That’s a neat bonus, but it could also indicate that PC players aren’t pre-ordering The Division 2 at the rate Ubisoft had hoped – and I’m sure vocal Steam fans will pick out at least one reason why. In any case, you will have a chance to try out the game before pre-ordering, as the Division 2 open beta will begin in a few weeks. For more on The Division 2, check out our endgame progression guide or our full Division 2 interview for details on what’s coming. That launch is just over a month away, so you won’t have to wait much longer to see how the full game pans out.